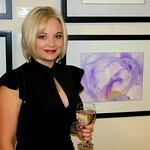 Hello and welcome to my online galleries. I'm award winning photographer blessed living in Canada. Enjoy my galleries. Some of the photos within these galleries are available to order as prints and other merchandise; click on the 'buy' icons. Prints are available in several different sizes and will vary depending on subject. Please don't hesitate to contact me with any comments and/or questions.